30" x 22", pastel on paper. 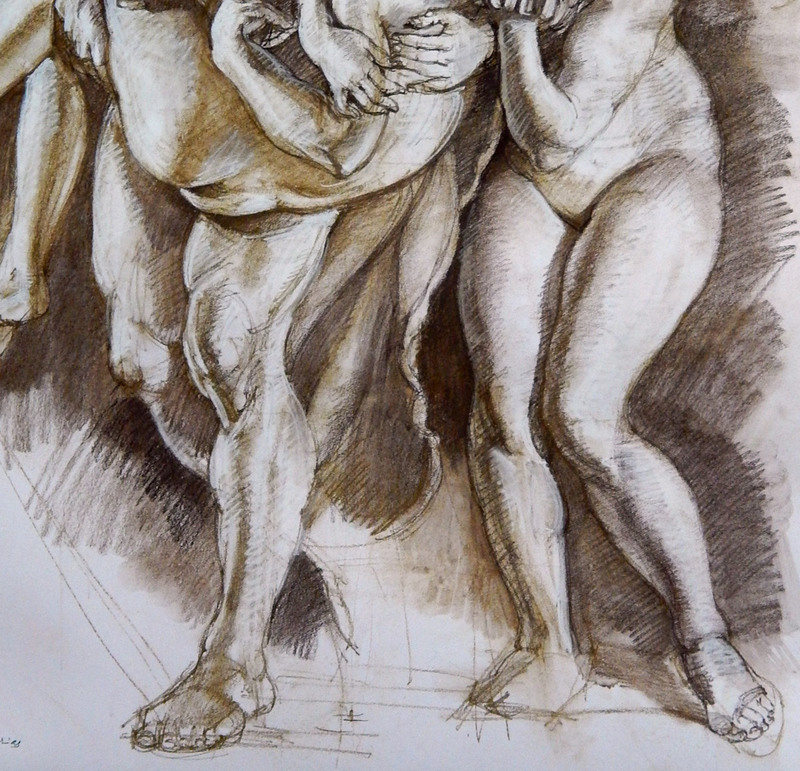 This is a study sketch of L. E. Barrias' 'The First Funeral' (1878). 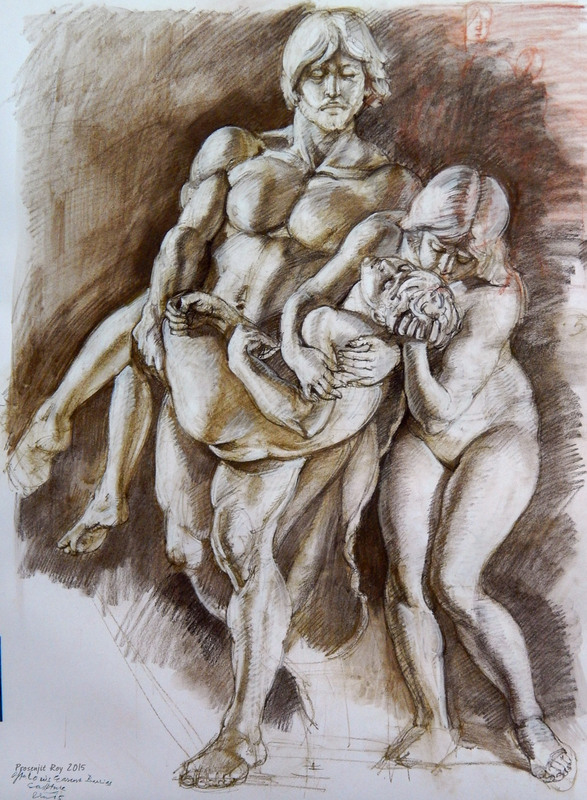 I was in total admiration of the complexity of different forces - gravitational and muscular, which are interacting with each other to make this beautiful composition possible. I'm sincerely thankful to the unknown ref sources which helped make this study. 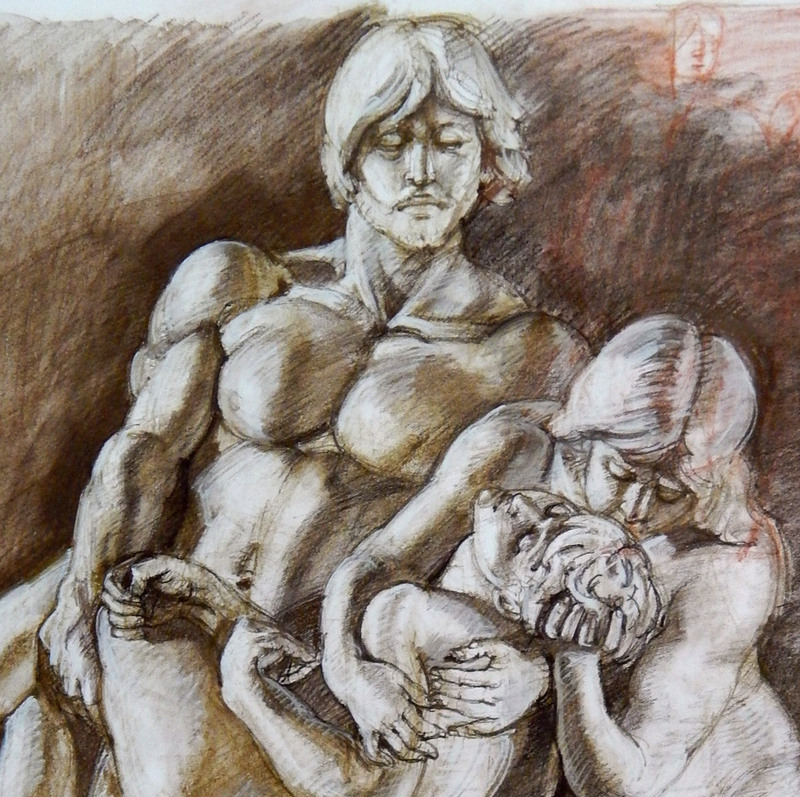 Notice how the central male figure is tilting back (please click to access the full size), while supporting himself from falling forwards (due to the drag of the deceased's weight) with his left leg. His abdominal muscles are taut, to counteract the action of his back muscles (responsible for the backwards tilt). The deceased is completely under the influence of gravity, as is evident from the curvature of his spine, the slight inward bend of the left foot, the position of the wrist/fingers on his lap, and the posture of his head/neck. 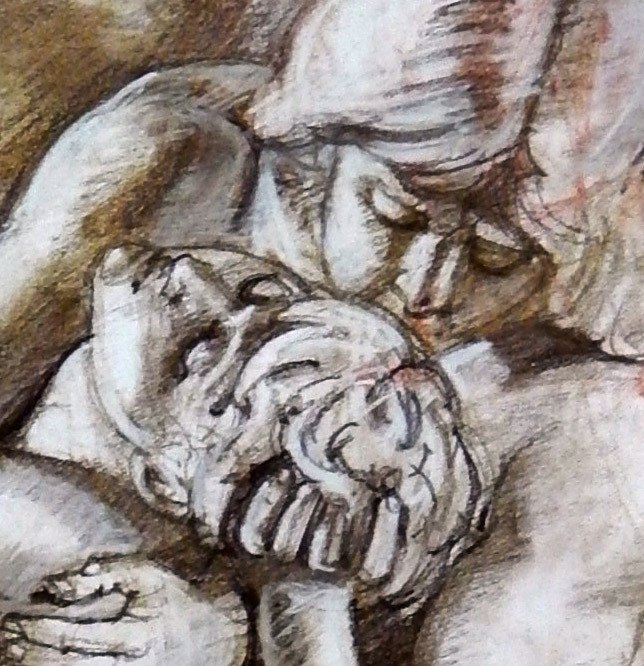 The female figure is slightly bent forwards, kissing the deceased on the side of his head. Therefore, her weight is mainly on the right leg, which is straight and taut, while the left leg is comparatively relaxed. 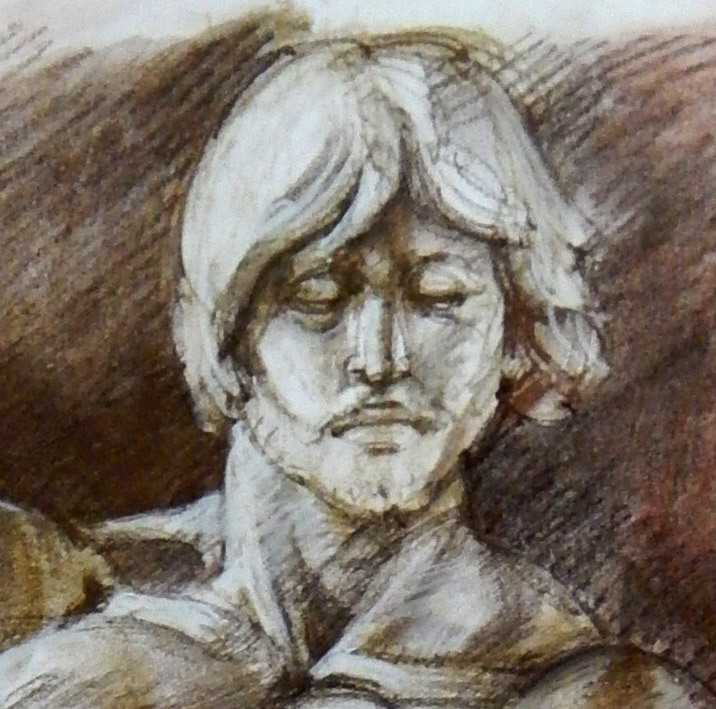 Also, the male figure's head is erect, the neck muscles stiff - showing the strain of the weight he's carrying. He has a melancholy look on his face, as he glances down at the departed person.